Playing his first event since November after breaking a bone in his wrist, Harrington carded a two-under-par 70 in the first round in Kuala Lumpur to lie five shots off the lead shared by Australia's Marcus Fraser and Spain's Nacho Elvira. Austria's Matthias Schwab, Thailand's Jazz Janewattananond and Angelo Que from the Philippines are a shot off the pace, with Que playing his first 11 holes in nine under par to raise the prospect of the second 59 in European Tour history, only to suffer back-to-back double-bogeys on the 15th and 16th. 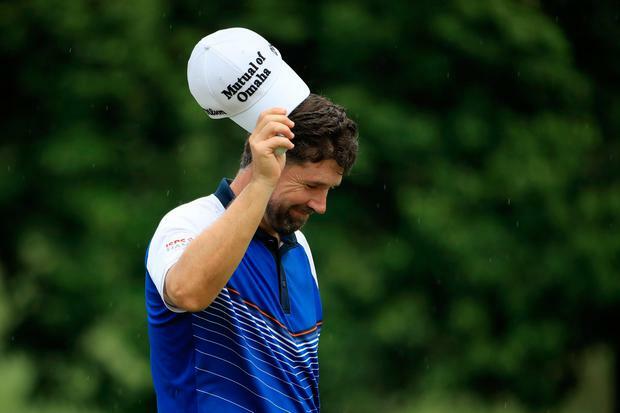 "I certainly didn't think about it out there, which is great," Harrington told Sky Sports. "I didn't hit it very well, especially off the tee I really struggled, so it was a really good score at the end of the day, even to come off the last couple (of holes) thinking I might have made one or two more putts. "But I holed a couple early on in my round to keep a bit of momentum in it, I could have easily slipped two or three over par. I kept it together on the back nine, used my head well and managed to get a reasonable score out of it. I'm delighted." Europe's defence of the Ryder Cup at Whistling Straits is still 18 months away, but as a three-time vice-captain Harrington is well aware of the toll it usually takes on the game of the captains. "It's been busy enough (already)," he added. "The actual announcement there was quite a bit of stress and then a few weeks of media, now it's got into the early organisation, looking at team rooms and hotel rooms and stuff like that and trying to figure out how much you've got to get involved. It's the nitty-gritty stuff. "My thinking is I can probably play golf for about a year and then with six months to go it will certainly shut down pretty much all the aspirations I have on the golf course. "Even though I will still play, there will be just too much going on."